Alarming new research is showing a significant increase in severe obesity among children age 2–5 years. We discuss some of the alarming trends Dr. Skinner and her team have uncovered and what we should be paying attention to if we hope to turn this epidemic around before its too late! 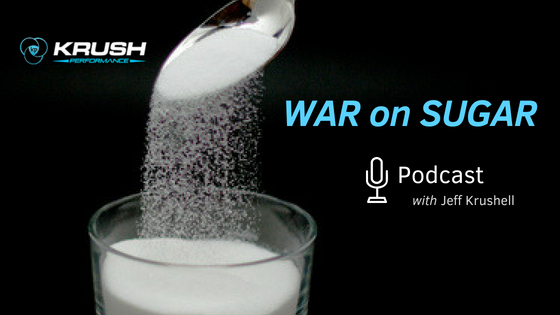 Also to kick off our 2018 War on Sugar campaign, I wanted to go back to one our conversation with Dr. Yoni Freedhoff as we discussed his book, “The Diet Fix: Why Diets Fail and How to Make Yours Work.” From sport to business to school, there is little else that has the potential to impact your performance or your health like your daily diet. Whether you are eating to lose weight, improve performance, gain muscle, or simply feel better, there are tricks of the trade that can increase your odds of success and Dr. Freedhoff will out line his research, the book and a 10 day plan to get the best out of any diet. Thanks for listening and LONG LIVE SPORT!